It’s difficult to get past a bad reputation, and in the small town of Lucky Harbor, Aubrey has the worst reputation. Wanting to put her past behind her, she creates a list of all the people she has wronged and then sets about apologising and asking for forgiveness. But not everyone in the town is willing to forgive and forget. Returning to Lucky Harbor after years of traveling from one war zone to the next, Ben is at loose ends. Unsure about what to do with his life he accepts a job helping Aubrey renovate an old book store. As he watches Aubrey deal with her past they grow closer and eventually fall in love. But Ben is the last name on her list, and she knows that when he finds out what she did he will walk away. Jill Shalvis is something of a comfort read for me. Her books aren’t particularly challenging, there really aren’t all that many surprises but to be honest that’s why I enjoy them as much as I do. She knows what her readers wants and she delivers. 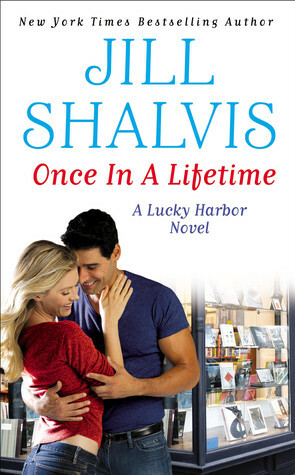 This entry was posted in Uncategorized and tagged contemporary romance, Jill Shalvis, lucky harbor by setaian. Bookmark the permalink.